The $350 million broadband mapping program required by the recent stimulus bill would be set back if there is widespread participation in it by a group called Connected Nation, according to a new report issued by Common Cause, the Media and Democracy Coalition, Public Knowledge and Reclaim the Media. The report is found here: http://www.publicknowledge.org/node/2037. Connected Nation conducts mapping and broadband demand surveys around the country through subsidiary organizations. It started as Connect Kentucky, and has repeatedly told a story of its successes there and around the country in measuring broadband deployment and creating demand for the service. 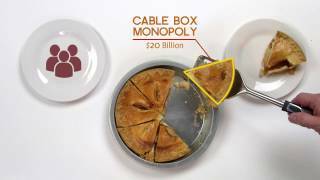 According to the report, Privatizing the Public Trust: A Critical Look at Connected Nation, "It would be a setback for our broadband policy if Connected Nation were to take a prominent role in broadband mapping and data collection if it continues on its present policy course because the organization does not represent wise public policy and because it distorts its results." The report argues that Connected Nation's policy restricts the collection and use of information gathered from the telecom companies and other incumbents that make up its board. "Quite simply, Connected Nation's strategy is to accept public funds for collecting information from its sponsors which is then kept largely private, hidden behind strict non-disclosure agreements (NDA). This privatized data gathered with public money is a violation of the public trust." The report also argues that Connected Nation has overstated its achievements: "Despite some states and Federal embrace of the Connected Nation model as the ideal approach to promoting broadband deployment and adoption, there is absolutely no proof whatsoever that their program actually produces positive benefits, whether from outside evaluators or from Connected Nation itself." Gigi B. Sohn, president and co-founder of Public Knowledge, said, "NTIA should make certain that the mapping is done in the public interest, and not in the private interest. The telecommunications industry must not be able to dictate the information on which broadband policy will be based." Beth McConnell, executive director of the Media and Democracy Coalition, said, "Connected Nation's approach is out of sync with the public's demand for transparency and accountability in governing and spending of public dollars. If policy makers truly care about improving U.S. broadband competitiveness, they should reject Connected Nation's involvement. Jon Bartholomew, associate director of media reform for Common Cause, said, "Broadband mapping is to be used in the public interest, and this paper shows that Connected Nation has a history of using this process for their own interest at the expense of the public. 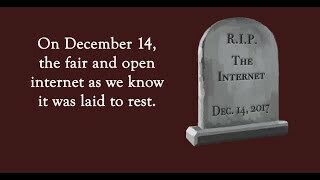 Broadband is too important for the future of our democracy and economy to allow Connected Nation to subvert the public interest."